Crude oil is the raw material used in producing heating oil, gasoline, jet fuel, diesel and other petrochemicals. Three greatest oil producers in the world are the United States, Russia and Saudi Arabia. Crude oil prices directly affect the cost of home heating oil, gasoline, electric power generation and manufacturing. 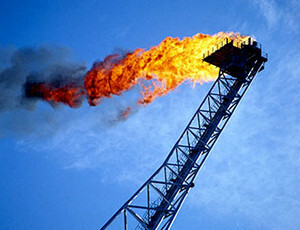 Being the major energy source, oil attracts attention of many investors. Oil price was steadily rising through 2009. Will this trend remain in 2010? Let’s look at different factor influencing oil prices. As crude oil used in production of unleaded gas and heating oil, prices of these commodities can influence price of the oil. A very cold winter results in higher demand for heating oil, pushing prices for crude oil up. A very active driving season during summer vacations can boost the demand and, as a result, prices for crude oil. Obviously, potential world crises in oil-producing countries may also significantly boost prices of the commodity. Generally, outlook for oil prices is rather positive. Global economy recovers and rebounding economy requires energy sources, spurring demand for oil. OPEC is expected to decrease its oil production. Production output of non-OPEC countries, while rising, will not offset growing demand for the energy source. Declining dollar forces investors to invest in commodities, like oil, as a hedge measure. Easing credit markets makes it cheaper to store crude oil. All these factors promise bright future for a crude oil. Telling all this, we should remember that not everybody agree on such optimistic outlook. Some analysts insist that rising supplies, partially because of new technologies giving access to new drilling sites, will catch up demand and will drive oil prices down. Also declining dollar can make prices, measured in U.S. currency, somewhat misleading. Analysts point out that, while dollar prices have surged this year, prices measured in non-U.S. currencies rose not that much and actual oil prices were similarly increased not very much. So, what price for the black gold can be expected in 2010? There are different opinions on this matter. Technically, long term support level exists at $50 per barrel. Actually, even most pessimistic predictions are not putting oil price in 2010 below $60 level. Another major support and resistance level rests at $75. Most analysts think that the commodity will be traded at this level or somewhat higher in the next year. There are forecasts that put prices as high as $90 in 2010 and even $110 in 2011. But we should remember about another resistance level at $100 which is hard to overcome both from technical and psychological points of view. Take all this factors into account when deciding your trading strategy for the oil but remember to watch market carefully as, in the end, it says what is right and what is wrong. If you have any questions or comments about the future trading for the Oil, use the form below to reply.